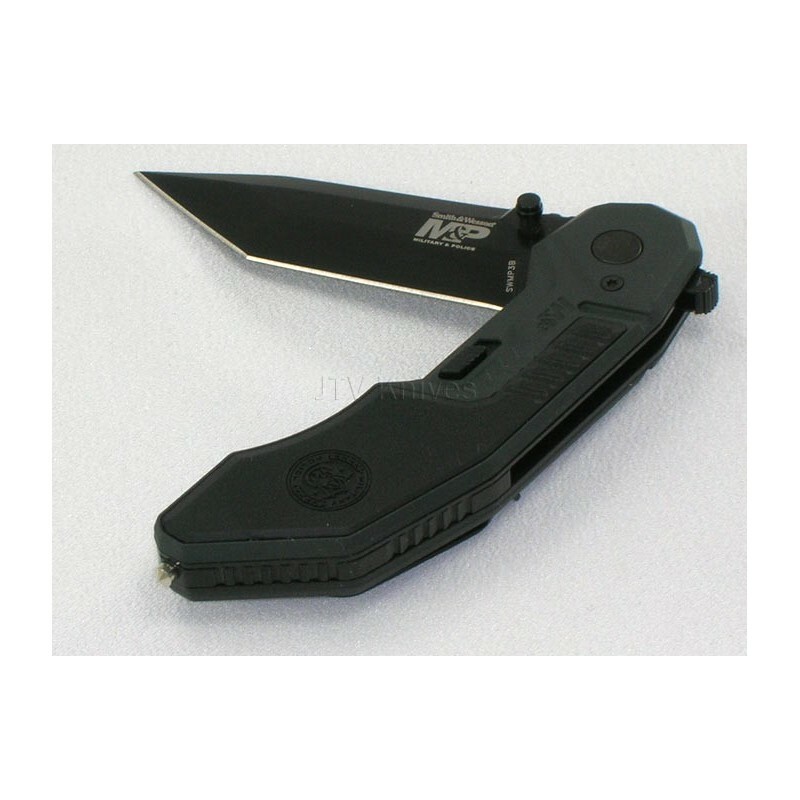 SWMP3B (Multipurpose, Assisted, Generational, Innovative Cutlery) 4 1/4" closed. 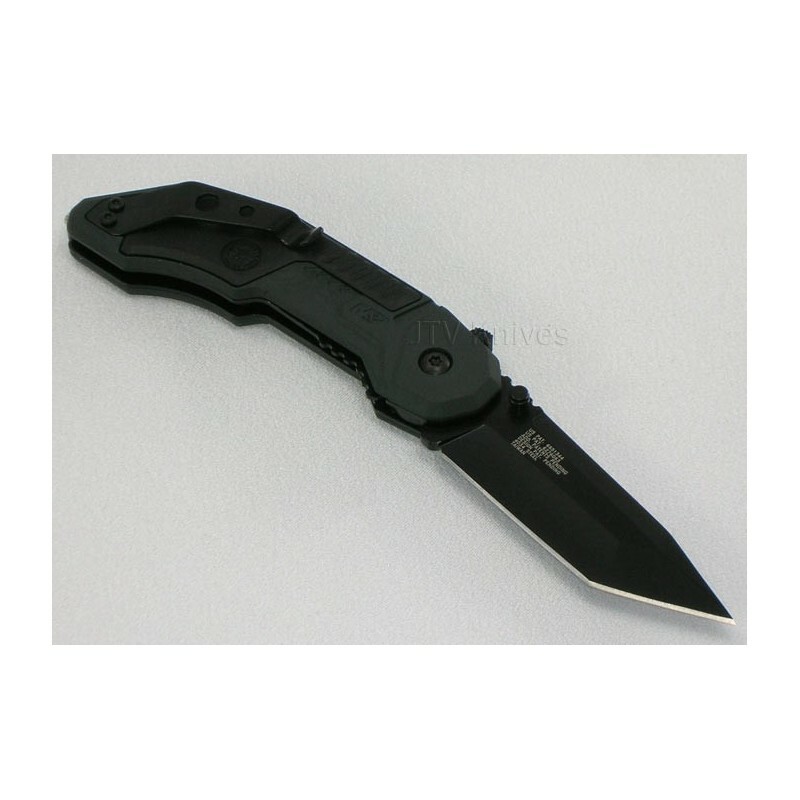 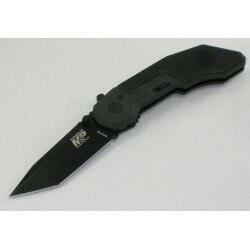 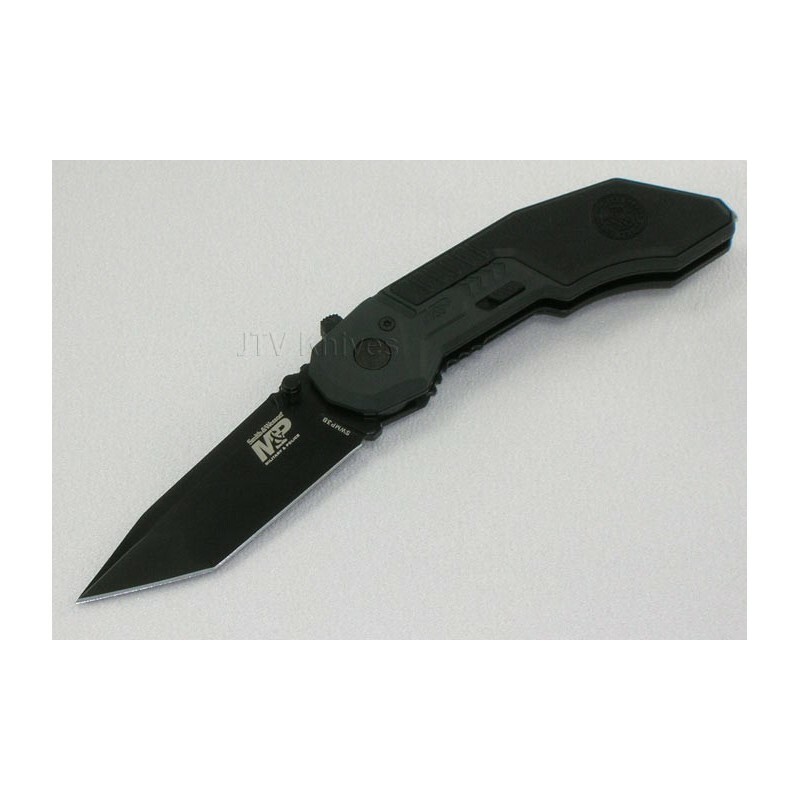 Black Teflon coated tanto style stainless blade with thumb stud. 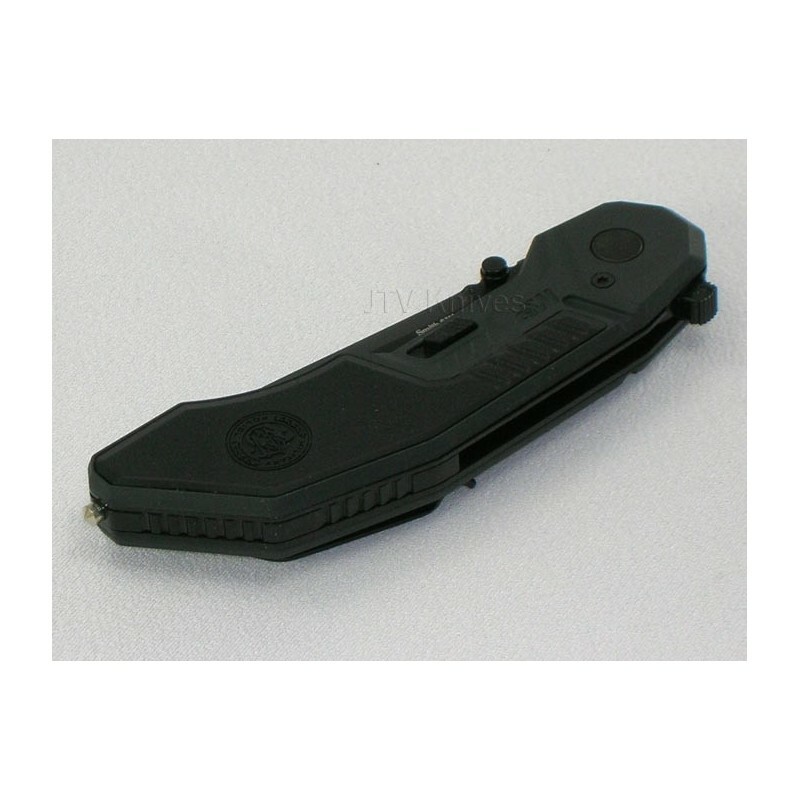 T6061 aircraft aluminum handles.